Please Note: The following is for educational purposes, always consult your health practitioner. Cover the weakness, hide the stain; modern bane whose roots are seeped in ancient hardwiring of beings in the natural world, so as not to become food for the predators. It is survival. The most difficult thing for people to comprehend about natural health modalities is rooting out the core of the expression of “dis-ease” is a completely different journey than simply taking a symptom away and suppressing the expression of disease, as modern man knows “cure” to be. Most people have been conditioned to view an alleviation of symptoms as “cure”. This causes many people to erroneously employ natural healing in the same concept as allopathic healing. In other words, they read or hear about an herb or remedy, think it applies to them or their horse and start taking it, not knowing fully well the complex relations of body systems, seasonal cycles within the body and the intricate relations most natural methods emphasize on the mental and emotional spheres of healing. Other considerations to be given are minimum dose, as in homeopathy – the least amount of “medicine” that initiates cure, direction of cure – how the body chooses to release soul-conflict insults, miasmic influence and much more. Often times, what should not be done brings with it the most powerful of lessons. Natural healing is not exempt. Natural is not benign. In re-connecting with ancient healing wisdom, less is best, something our excessive, over the top modern culture needs reconciliation with. A common example of this fear based, excessive measure is feeding garlic to equines for pest control. There have been times walking down barn isles, when one gets an overwhelming whiff of the smell of garlic. These popular feed supplements may be used by well intended guardians. These folks often will complain how their horses’ wreak of garlic and yet the poor beast is still pestered by flies. Prolonged use of garlic in horses, dogs and cats will result in a certain type of anemia as their bodies cannot handle sustained consumption of the herb. Also, if the being tends to run “hot” this warming herb will not be a welcomed addition to the body. 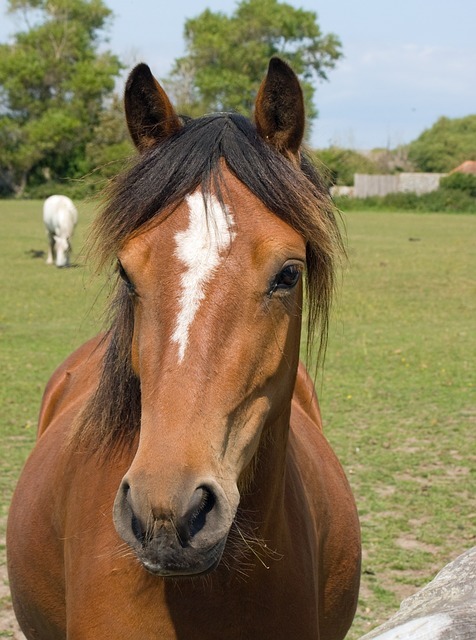 As pests tend to sprout in warmer weather, a very uncomfortable situation is endured by the horse. Parasites are a sign of waning vital force and as such, should be taken into consideration of the whole picture, not just an issue to address. Studies in Africa have noted an increase in parasites in primates as “civilization” encroaches. Researchers noted the primates’ intake of vermifuge plants increase as human populations spread. This is very telling to our condensed way of life and its consequences. Most involved in natural health have been honing their art for years. It is wisdom assimilated over decades, generations; it is very often taken for granted. In cases where one is given the time, courtesy and details to extensively work a case the turn around can be nothing short of amazing. With the correct energetic components in place (body balance work and homeopathy) I have found that it takes relatively simple combinations of herbs or super foods, specific to the beings constitution and condition to make all the difference. Complex formulas don’t seem to be necessary in my experience; they often seem to overwhelm the delicate and deficient beings one works with these days, causing excessive healing crisis. To further explore the example of parasites and cleansing and to shed some insights on “natural” substances gaining popularity, a deeper wisdom of diatomaceous earth will be examined. This substance has been gaining popularity as a natural way to keep pests, external and internal at bay. Food grade diatomaceous earth should be the only kind used for this purpose. Used externally for external pests it can be very useful to rid pests while the body builds its vital force to repel pests. If used internally, some vital information should be known, before introducing to the body. Many taut diatomaceous earth as a wonder to rid bodies of internal parasites. In the horse world we have been taught to regularly worm our horses. This substance is a fossilized diatom, the shell of which is covered in microscopic barbs, these barbs shred the exoskeleton of parasites and they die. This is how diatomaceous earth works. It is also high in silica, something greatly missing in modern diets of all beings and very necessary for nutrient assimilation and structural integrity. This is another reason for its popularity. Those that propose using diatomaceous earth internally mention the ability of the diatoms to “scrub” the intestinal tract clear of toxins, parasites and such. With the advent of GMO’s and glyphosate used in feeds prepared for horses, their intestinal tracts are already under massive assault from the corrosive effects of this feed. In decades past one never heard of the amount of horses undergoing so many invasive procedures to save them from displacements, ulcers, and more. Given the “scrubbing” effect the diatomaceous earth imparts and the huge role proper gut flora and function contribute to the immune system, there are much more healing ways to bolster the vital force so it can keep from succumbing to parasites. Another factor for consideration is studies done with diatomaceous earth used internally for parasites have been done on livestock bound for slaughter. This is very important to keep in mind as these creatures live very short lives. The long term effect is not known – does your horse really need that? Lastly, many that promote the use of diatomaceous earth recommend its use everyday. A vital force that needs such a boost every day to keep pests away is not thriving. While such regimes many be necessary to keep a being comfy towards the end of its life, it should raise concern if something is needed everyday for maintenance. The lack of wisdom in following laws of cure may cause some confusion whether there is suppression or aggravation and some folks may continue to dose out of fear, muddying up the healing process and confusing the Vital Force of the individual. This is especially true when working with deep acting remedies. Some will take several months to complete their action in the body; one is not to interfere with the action of such remedies till their effect upon the being is complete. People unaware of this can completely throw the course of cure off track, due to lack of patience and inexperience. In the hands of those with lesser experience a certain remedy with a reputation with quick resolution to sudden, violent onset may be mis-used to get a horse through fearful bouts. 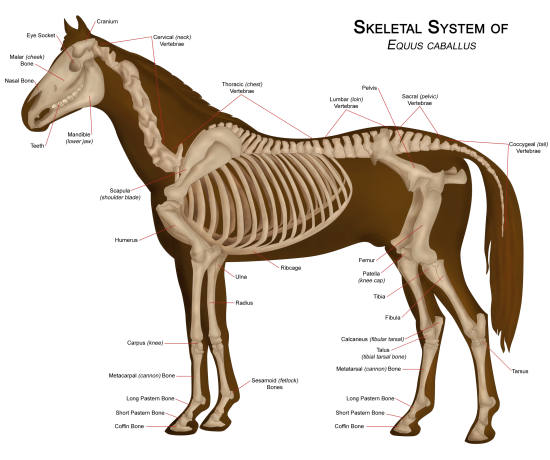 While the rider may be happy with the fact that they can “ride” the horse, they will miss need signs the horse needs to express, say perhaps damage done to the skull/spine because of false training techniques most have been taught to accept as safe to the horse. We know much damage occurs to these sensitive areas and without addressing such trauma with deep acting remedies and correct development and healing of such important structures as the skull and spine, a very lackluster result will ensue. This will often be the case where one can read massive imbalances in the body (shows in muscle structure and flares on the hooves and more) and someone reads about a remedy that address “pain” they feel the horse expressing. Without correct balance of the feet (barefoot gives the best expression of the imbalances) and preferably work at liberty where the horse is free to reclaim its right to uncompensated motion, suppression is occurring as the rider is simply swapping a remedy or herb to cover shortcomings in their knowing and skill to properly bring a horse a long. In view of such profound, personal journeys, I urge people to give newly adopted creatures (especially if they are young and organs are developing) the cleanest possible diet, economically feasible. The more processed the feed, the more the Vital Force will surely suffer. The life span of most pets is quickly declining as the tainted feed destabilizes generations of pets and livestock. It is not uncommon to see small pets dying at age 5 or 6 of organ failure that eludes both conventional and alternative means. So deficient is the Vital Force, so tainted is the feed. Welcome to the world we created, it is time to wake up and minimize the damage.